If you scored a brand new gaming console this holiday season (or any other time), you’re going to want to get it up and running as quickly as possible—here’s how to get started with your PlayStation, Xbox, or Switch, as well as some tips for customising your new gaming machine and exploring some of its features. Sony makes companion PlayStation apps available for Android and iOS, and they’re well worth installing when you get started with your new PS4—not least because you can use them to chat with friends and check up on their activities without quitting out of whatever game you’re currently playing. You can push game downloads to your console too. Rest mode lets you download games and updates in the background while the PS4 isn’t in use: Head to Power Saving Settings in Settings, then enable internet access in Set Functions Available in Rest Mode. You also need to enable Automatic Downloads under System in Settings. Updates will then keep downloading when the PS4's in rest mode. 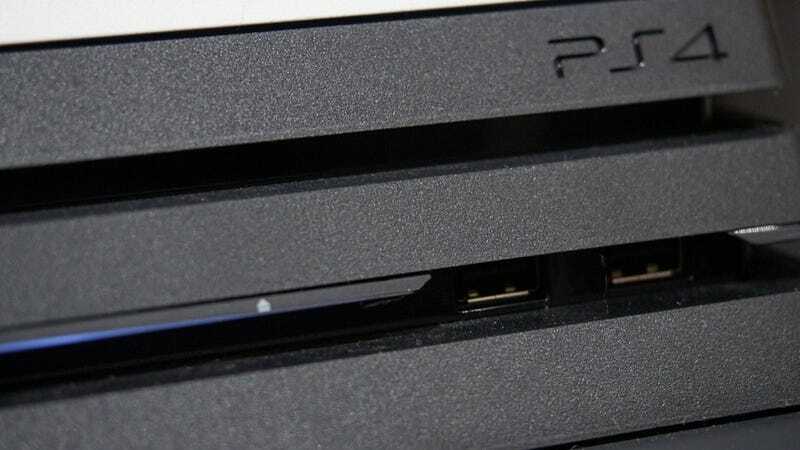 Your PlayStation 4 automatically records everything that’s happening while you play, just in case. To share something tap and briefly hold the cleverly named Share button on the controller to bring up all the options available to you. You can also tap the button quickly once to take a screenshot inside a game, or double-tap it to start a video recording. You want your DualShock controllers to go for as long as possible between charges, and to make this happen you can dim the controller lights (under Settings, Devices, then Controllers) as well as have them power down quickly when not in use (open Settings, then choose Power Saving Settings and select Set Time Until Controllers Turn Off). Just like you can on your smartphone, you can customise the number and type of notifications you see on screen while playing games — because nothing is more distracting than an important alert when you’re trying to beat a high score. Head to Notifications on the system menu, then tap the Options button, then choose Notification Settings. If several people are going to be using your PS4 then you’ll want to set up separate user accounts for them, but maybe you’ll be the one gaming most of the time and you want to speed up the login process. To do this, go to Settings, then Login Settings and tick Log In to PS4 Automatically (when using your own account) to save logging in each time. Thanks to the wonders of a tech called HDMI CEC, you can have your TV power up and switch to the right HDMI port automatically when you power up your PS4—this is something you’ll want to do as soon as you’ve set it up. If your TV supports it (almost all modern ones do), tick Enable HDMI Device Link under System in Settings. You might well be used to talking to your phone and your smart speakers by now, and you can talk to your PlayStation 4 as well, if you find it makes life easier. 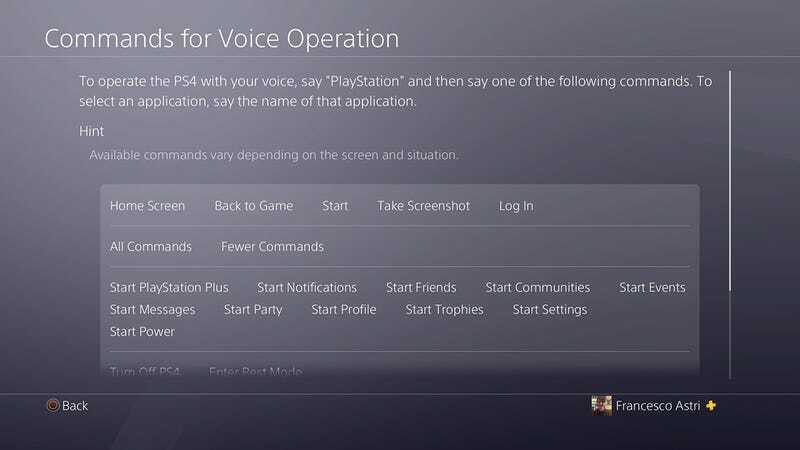 From Settings go to System and then Voice Operation Settings—from this screen it’s possible to enable voice control for your console and see a list of supported commands (like “take screenshot”). Not every game out there has a stellar soundtrack to go along with it, and if you want to replace the sounds and music in a game you can use the Spotify app to add your own soundtrack. Once you’ve installed the app from the PlayStation Store, press and hold the PS4 button on your controller to see your options under Music and switch to Spotify. Speaking of audio, you can keep music and in-game sounds to yourself by plugging a pair of headphones into the 3.5mm audio jack on the DualShock controller. This will enable chat audio by default, but you can divert all the audio through the port by holding down the PS button in a game and choosing Sound/Devices and Output to Headphones. Before you dive into your gaming, decide between Energy-saving and Instant-on for the Xbox One’s ‘off’ state (under the Power &amp; startup menu in Settings)—the former draws less power but the latter means your console starts up quicker (and also turns on your TV when it starts). You can enable waking up your console with your voice on the same menu. New Xbox One consoles come with free 7-day trials of Xbox Live Gold (for online gaming against other players) and Xbox Game Pass (a kind of Netflix-for-games subscription service with a ton of rotating titles available): Look for the trial codes in the packaging that came with your Xbox One, or just sign into the services to enable the free trials. If you have youngsters playing on your new Xbox One, you can protect them from adult content by heading to Account then Family settings from the Settings screen. If you choose Manage family members, you’ll be able to add new child accounts to the box, which can then be managed in terms of age-restricted content and screen time limits. If you’ve splashed out on a full 4K-capable Xbox One X console, then you want to make sure that all those pixels are getting pushed to your television set. To do this, open up Settings then choose Display &amp; sound, then Video output, then 4K TV details. Microsoft has a detailed guide on how these settings should be configured that you can find here. Good news—mouse and keyboard support for the Xbox One is officially here, so you can plug in any spare USB peripherals you’ve got and breeze through menus and text entry screens. You can also use your mouse and keyboard to control the action in a small but growing number of games, including Fortnite, Bomber Crew, and Deep Rock Galactic. The Xbox One is quite generous when it comes to the ways you can customise the look and feel of the interface—you can adjust a variety of settings, from the colour accents used to the backgrounds used as wallpaper. Once your console is up and running, head to the Personalisation menu in Settings to browse through the different options on offer. The Xbox One is very PC-like in its support for external hard drives: Any drive that you can plug in and use with Windows, you can also plug in and use with your Xbox One via the wonders of USB. You need a drive that supports USB 3.0 and which has a capacity of at least 256GB—you’ll see a prompt to start configuring it as soon as you’ve plugged it in. Microsoft has designed the Xbox One to be as straightforward to use as possible, but you might need one or two pointers in your first days with the hardware. If you press the Xbox button on the controller then choose Xbox Assist from the System menu (the cog icon), you can browse through a variety of help screens, tips, and useful diagnostic tools. 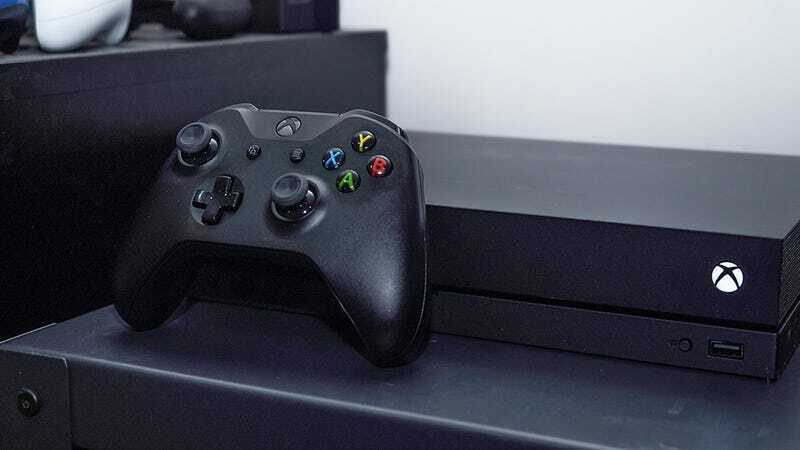 Sharing your gaming exploits is a big part of the experience on any console these days, and as you would expect, the Xbox One consoles have some very useful options built right in. If you press the white Xbox button on your controller during gameplay you can bring up the basic options on screen—save a screenshot or record a video (up to 10 minutes long). You can find Xbox apps for Android and iOS, and there’s also one built into Windows 10—the Windows app, among other features, lets you stream games from your console to a Windows 10 computer on the same network. 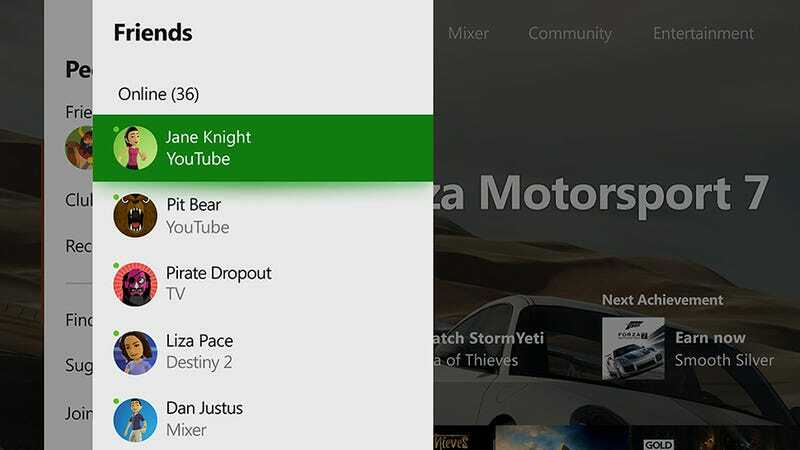 All the apps give you access to recent gaming activity updates, news from your Xbox friends, the Xbox game store, and more besides. When you’ve got your Switch docked, some extra picture settings come into play. Pick System Settings then TV Settings then RGB Range and you get to pick between RGB Limited and Full Range. Picking the latter option should improve the visuals on televisions that support a full RGB range mode, as well as most computer monitors. If you’re gaming on the go then you want to make sure your Switch console’s battery lasts as long as possible. Some tricks to try include enabling airplane mode (press and hold the Home button), dimming the brightness (Screen Brightness in System Settings), and turning off the controller vibrations (Controllers and Sensors in System Settings). 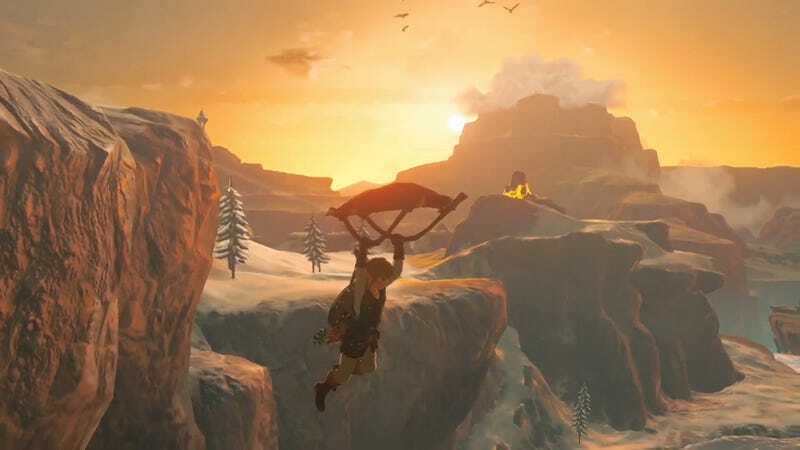 Once you’re up and running with your new Switch, you’ll want to take screenshots of your exploits to share with friends and on the web. This is easily done on the console—hit the button near the bottom of the left-hand Joy-Con, which is a dedicated screenshot button, to save an image. Tap and hold the button to record a video clip of up to 30 seconds. You’re asked to set up (or log into an account) when you first get your Nintendo Switch up and running, but you can make changes to it afterwards too. Tap your icon in the top left of the home screen to get to your profile page, then choose User Settings and Edit Icon to change your look. You can pick from a bunch of Nintendo characters or set up a new Mii. 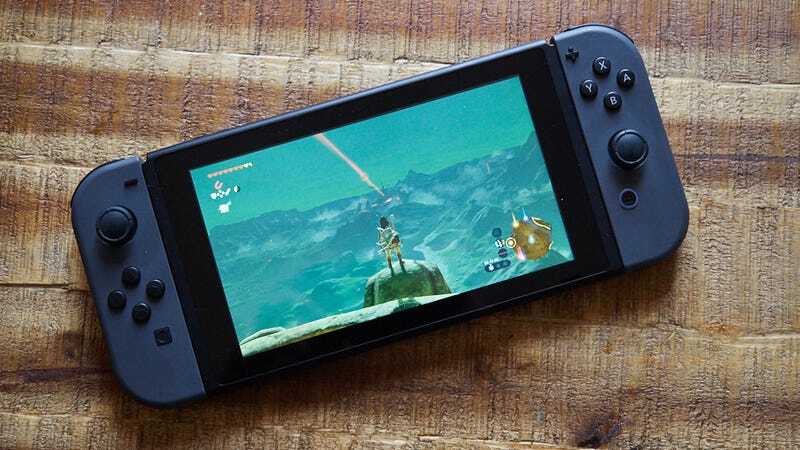 The internal storage space on your Nintendo Switch is going to run out fairly rapidly—some games are too big to be installed without a card—so pick up a microSD, microSDHC, or microSDXC card with as much storage as you can afford. Look for the UHS-I (Ultra High Speed Phase I) classification, and read speeds of at least 60-95MB/s (the higher the better). The Joy-Cons that come with the Switch are fine as far as they go, but you can do better, if you’ve got any cash left after Christmas. The Joy-Con Charging Grip ($30) will charge your Joy-Cons at the same time as you’re playing, while the Pro Controller ($70) gives you a more traditional controller experience that you might be used to from other consoles. The Nintendo Switch Online experience is now fully up and running: Cloud saves, classic NES games, and multiplayer online play, yours for $4 a month—there’s a 7-day free trial available, if you want to see if you like it first. Select Users and Manage Subscriptions from the System Settings screen and you can sign up for the Switch online service. You can’t do too much in the way of customisation on the Nintendo Switch, but you can opt for a dark rather than a light mode, which might suit your eyes better (and probably saves you some battery life too). To switch between interface modes on the device, go to System Settings and then Themes to choose between Basic White and Basic Black. Thanks to the magic of USB-C, you can use the charging port on the bottom of the Nintendo Switch to do more than charging. You can attach some USB-C headphones, for example, if you don’t want to use the 3.5 mm audio jack, or connect up a USB-C keyboard—though you can only use it to enter text on menus, not to control games. If you’re letting kids loose on your new Nintendo Switch then make sure they’re being looked after when your back is turned. Head to Parental Controls in System Settings to limit apps by age rating, or install the companion app for Android or iOS—these apps let you set time limits for your kids, see what they’ve been up to on the console, and more.